Marketing is the prime factor for any business development and marketing automation software offers the best solution to fulfil your marketing requirement. If you need effective marketing strategies for your business, it really needs so much attention and it’s a lengthy process as well but you can easily analyze your all marketing strategies through the best marketing automation tools. You don’t need to do manually all things in your marketing requirement; marketing automation software offers automated features to implement proven marketing strategies for your business. Business leads are the key feature for any successful business; you can easily develop a successful business to streamline your marketing workflow through this software. So, if you are planning to improve your ROI through the automation tools, SoftwareWorld is the best source for you. Here you can find top-rated marketing automation software for your business as per your need. What are the best Marketing Automation Software in 2019? About HubSpot : Marketing automated software not only automizes and simplifies the business process but also helps the business to grow. Hubspot is one of outstanding marketing automation software which is good for both the customers and business. With Hubspot, you get a full stack of software for sales, marketing, and CRM and customer services. Business can take hold of lead generations, analytics, reporting, product management, meeting schedules and customer feedback on one single platform. 2. 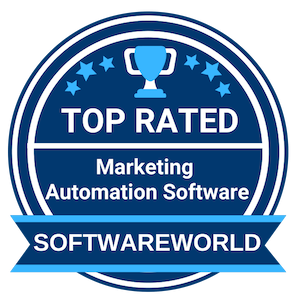 Marketo – Marketing Automation Software: Easy. Powerful. Complete. About Marketo : Marketo is a result of deriving automation software. Marketo is a single platform which takes care of lead generation to sales engagement, customer satisfaction to customer marketing. Marketo is a digital solution for every business. The software solution drives revenue, builds brands, and proves impact for modern marketers. Marketo is equipped with advanced features like Marketo Sales, Marketo CRM and many more to help the business grow. “The platform is easy to navigate and you can send out beautiful emails whether you have no coding knowledge or you’re a pro. With several templates to choose from there is certainly something for everyone. The community of users they have built is also quite impressive.” – Heather C.
About iContact : iContact is an easy to use software solution that has made marketing simple. iContact deals with email marketing that does not require any HTML coding. With the in-built editor, you can just drag and drop appropriate contents and create emails for sales marketing. iContact has numerous instant templates that come handy and requires only reformatting. All you need to do is segment your contact list and program this software to automatically send emails. About Pardot : Termed as world’s no 1 CRM automation software, Pardot is a favorite platform of the sales team. Pardot is being used by many organizations across the world because of its customer success stories. The marketing automation software has been successful in increasing ROI and campaign effectiveness for many sales organizations. Pardot has incredible customer support to assist your team with each feature. “I have used Pardot at three different companies now and I love it. It’s been one of my most reliable and useful tools in my Marketing Stack over the years and it’s continued to get better thanks to the aggressive roadmap put in place by Salesforce. Great for business ranging from small business up to Enterprise.” – Garrett G.
About SharpSpring : If you are looking for an affordable, powerful and an effective lead generator platform, then SharpSpring is just for you. With SharpSpring, you derive more leads, convert, and optimize your sales with full-featured services. SharpSpring assists organization some of the outstanding features like blog building, behavior-based emails, campaign tracking, CRM and sales automation, reporting, analytics and many more. “I use it everyday for my business as well as for clients. If you do online lead generation and marketing and want to be able to track ROI online, this is the tool to use. Great value for your money.” – Gary S.
About Infusionsoft : Infusionsoft is now known as Keap. The software is designed specifically for small business that lacks resources but wants to deliver great customer service. With Keap, you can centralize data and organize your client’s information in one place. This not only saves you time but allows you to focus on different areas. Keap assists business in client management, managing appointments, making quotes and payments, handling invoices, and sending emails. About Mailigen : Connecting with your customer’s through one or other way is important to keep your business active and flourishing. Mailgen is just the right platform that builds a healthy customer relationship by sending automated emails, newsletters, and journals to your customers. Trusted for more than 8 years, Mailigen has associated with various big companies worldwide. Mailigen helps the organization in saving time and utilizing technology in the right way. About Act-On : Act-on is one of the best marketing automation software that can be personalized as per the business requirements. Unlike most software that has fixed features, Act-on is flexible and understands user’s demand. With this software, you can convert the leads and reach the right customers by adaptive marketing. Act-on unlashes various marketing tools that go beyond just emails. The personalized tools suit the journey of every type of business without any restrictions. “We are a media publisher that used Act-On primarily for sending out marketing emails – about 20+ a month, supporting a white paper site, and hosting 2 webinars a month. Act-On made it super easy to set up and market webinars from the initial thought, through sending a copy of the webinar to attendees when done..” – Scott S.
About Autopilot HQ : Autopilot HQ is a visual treat for marketing automation businesses. Business can now capture leads from the websites, apps, blogs, or personal messages and convert them into sales. Companies can automate repetitive tasks like sending journals, assigning leads, booking appointments and sending newsletters over emails, thus saving time. Autopilot helps in developing personalized relations with customers by engaging them with the right channels. About SALESmanago : Salesmanago is one of the best AI and machine learning powered software that builds customer relations and engages them across various channels to converts the leads into sales. It identifies visitors form your website and sends them automated emails and personalized messages. Salesmanago manages CRM, lead generation, website personalization, mobile and web marketing, social media management and many more activities on behalf of the company. “System’s user-friendly interface as well as the features, while having the extensive toolbox and integrations, makes SalesMANAGO one of the best marketing tools. Simply, this is one of those rear platforms where you see the real value for the money you pay. It’s not cheap, but it’s worth it.” – Giorgi G.
If you are running a business then the plan of its future expansion must be always kept turning around inside your head. In fact, it happens to all entrepreneurs and existing business tycoons. With that being said, it is also a common thing to acknowledge that growing business requires improving marketing strategies. Also, you should have your resources ready to take down any opportunity that comes as a result of your new marketing strategy. Well, though the above-said ideal case scenarios sound impressive but are equally difficult to achieve unless you have a helping hand to automate most of your marketing rituals – yes, we are talking about an ideal Marketing Automation Software. » What is Marketing Automation Software? » How does Marketing Automation Software work? » Is it worth investing money in Marketing Automation Software? » What are the features of Marketing Automation Software? » What are the benefits of Marketing Automation Software? » How to choose Marketing Automation Software? » How much does Marketing Automation Software cost? » What are the Best Marketing Automation Software in 2019? It is a complete suite that automates and synchronizes your sales, marketing, support system, and CRM to bring the best outcomes for your business on to the table. Instead of using separate marketing automation tools for separate marketing activities, it empowers you to manage your data and sales activity from a single platform. You get to customize conditional workflows from a single dashboard that controls all your marketing activities with ease. Though it may take a while to get comfortable with the tools once you master them, it opens up door towards endless possibilities for market penetration. The marketing automation platforms work in multiple stages to fulfill your marketing needs. To get started with, it enables you to create customizable drag-and-drop forms and landing pages through which you can capture more potential leads than before. It seamlessly integrates your marketing and sales team with those leads who can get easily converted them into sales before they get bounced. Once the deal gets inked, it takes care of the hassle-free payment and delivery of service from both ends. As a marketing automation system keeps a constant tab on customer’s behaviour and interest, keeping them happy with what they want becomes a cakewalk. Also, it helps your happy clients spread a word about your excellent service on various social media platforms thereby drawing more organic clients without any extra effort. It is undeniable that marketing strategies are getting stiffer day by day with businesses going global. Designing an effective marketing campaign these days requires everything to be perfect starting from emails to pages and pop-up forms. Unless you are an old-time market Nazi, predicting specific consequences of actions becomes difficult. However, a marketing automation software does all of the above discussed with its top marketing automation tools. That’s why the best marketing automation software for small business are on demand nowadays. That clears the air whether you are a solo entrepreneur or a big MNC, having an ideal marketing automation software will save your time and will streamline your efforts for getting desirable results. When one tries to complete the daily chores of marketing companies using human resources, it leads to wastage of time as well as resources. Similarly, the pen and paper-based methods don’t have a lasting effect as they are prone to human mistakes as well as theft or loss. However, after the inception of Marketing Automation Software, the companies and businesses can now efficiently manage marketing tasks without any worries. The software has wholly transformed the marketing process of marketers by automating all the tedious works. Hence, let’s study the various features of the software which come together to make the software a success. If your company has been operating in the market for many years, then you are no stranger to the risks and longevity of the traditional methods of marketing. However, using marketing automation software has dramatically streamlined the process. Nowadays gathering customer data, arranging, and tagging them does not take more than some hours or even minutes in some cases. Thus, the employees can ensure more celebrated work with higher productivity. The main task of the marketing automation software is to help the companies gather leads from the details of their regular visitors. By letting the companies detect and understand the pain points of the customers, the software helps in generating a massive number of leads for sales and marketing purposes. Moreover, it also helps in setting the leads based on their conversion rate, thereby placing higher probability ones at the top position. CRM plays an essential role in managing the marketing sector of your company by providing various crucial information. Hence, the developers of the software have allowed the marketing automation software to integrate the CRM with other marketing channels seamlessly. Moreover, this helps the sales agent to stay updated on any changes to the leads, which is then assigned to a particular agent once the software captures a lead. The marketing automation tools are also capable of customizing the landing pages. The software has simple drag and drop tools, tools for changing colors, themes, font sizes, and more. Hence, one can sketch down their dream landing page into reality rather than focusing on a previously designed one. Nowadays the marketing automation tools also come with real-time analytics and reporting systems which helps in understanding the customer’s behaviour based on their visiting and scrolling history. This data provides a piece of detailed information on how the products and services can be modified to keep the customers hooked. The companies and businesses often prefer email marketing for sending out invitations and promotional notifications to their customers. As the list usually consists of a large number of participants, mailing each one of them takes time. In this regard, marketing automation tools streamline the job by sending bulk emails with less or no user interference. Imagine if your leads are arranged according to their value to your organization, then, won’t it will become easy to prioritize them separately? In such conditions, marketers can use the software to sort the leads according to their buying cycle prospects. Afterward, depending upon the priority, managing each customer by sending them customer-specific offers, invitations, etc., becomes easy. Similar to other software, the marketing automation platforms also allow their users to avail a plethora of benefits over the traditional methods of marketing. The facilities and tools provided in the software make it stand out from the pen and paper-based processes. So, let’s proceed to the next step by learning some of the benefits of the software. The marketing automation platforms help in achieving a greater traffic inflow to the company or business by sending triggered emails. These emails are automatically sent depending upon the customer’s activity on the page or product, which are accompanied with exciting rewards. It helps in luring the customers while ensuring a better customer experience. The software helps in automizing more than half of the tedious works; hence, a great deal of work is easily achieved within a short period. Moreover, it also serves as an add-on for the employees as they get more time in their hands which they can use for creating customer-specific solutions. Similarly, the work which earlier used to take days to complete is now processed within hours and in some cases even in mere minutes. ROI plays a significant role in maintaining the profit of the company. If a marketer invests a hefty amount in the company, then it is normal that he/she will expect a higher return on it. In this case, the software helps achieve this mission by reducing the number of human resources required for carrying out daily repetitive tasks. Imagine if you can detect the poorly performing employees in real-time, won’t it be a good thing for the company? For helping the companies do so, nowadays the marketing automation system comes with tracking facilities. The feature supports the operator to monitor and verify the employee activities, their online time, and more. Afterward, this information can then be used to detect any lacking along with best solutions for efficiently tackling them. The Marketing automation System nowadays allows users to access their projects using their smartphones and tablets on the go. Moreover, using the software, the users can keep a track on the project’s progress while simultaneously getting intimations on any changes. It also plays a role in unchaining your users from the desktop, hence, allowing them to log in to the server at any time and from anywhere. The task of choosing the best marketing automation software is not an easy task as the market is full of choices. Hence, we have created a list to help you out in case if you are looking for hiring the software for your company. In an era where the majority of your customers are using mobile services to navigate anything, and everything, a mobile-optimized access platform can boost the traffic. Apart from this, the feature also allows users to avoid desktops as they will be able to access your products through the mobile app. Another essential feature of the best marketing automation which must not be avoided is its response handling quality. If your customers face any issues with the software, then they must be able to communicate with your customer service team instantly. It will act as a trust enhancing factor while ensuring users about the product’s authenticity. Apart from managing marketing tasks, the best marketing automation software must have a two-factor authentication process to prohibit unauthorized entry. Furthermore, features like single sign-in, activated firewall, Digital Encryption, and more are also proactively installed in the software. Many companies and businesses use AdWords to increase profits as well as to get the best ROI. Hence, an online marketing automation software which efficiently complies with Google AdWords is a must to go for. Moreover, the software can also collect visitor data by leveraging the platform’s visiting history. If you are looking for the perfect marketing automation solutions, then, you should know that the market is full of a massive amount of choices. But in such situations, how can one find out what are the key factors which can ensure that choosing the marketing automation software will be a profitable business. Hence, in this list, we have compiled some of the essential points to help you in the decision making process. If your company has a larger employee base, then managing the marketing chores will need a software which allows a larger group of users to work on it. Hence, one must be careful enough to subscribe to software which fulfills the requirement. In such circumstances, one can also estimate the number of users beforehand to simplify the process. For ensuring that you land with the perfect deal, the first thing is to check if the facilities you are looking for are available in the software. Moreover, the software should feasibly comply with your existing business tools to provide a seamless experience. Before choosing the marketing automation solutions, one must consider the budget the company can afford. It is always important to remember that the number of facilities and tools availed is directly proportional to the cost of the software. Hence, it is still advisable to make time and explore as many options available before picking one. Depending upon the facilities and tools availed, along with the other factors the pricing plan dramatically differs from one to another. While the lowest premium plan starts from $8/month, some of the expensive ones can also reach a whopping high of $399/month. Nowadays various top marketing automation tools also come with ‘Pay-as-you-go’ feature which helps the individuals to hire additional tools by paying their fees. However, the best method to land with the perfect software is to initially subscribe to the free basic version of the software, before going for the premium plans. There is no doubt that an online marketing automation software can help you in big ways starting from creating marketing campaigns to using insights to get desirable results. Thus, it’s time for you to use all your marketing effort together in combination with various marketing automation solutions to serve your customers through your full experience. Use the knowledge supplements from this guide to select the best marketing automation software from the market and easily adjust your campaigns to max out your sales. » Advertising Agency Software - Advertising agency software is designed for ad agencies to provide the next level of client service quality and productivity. Advertising agency software is the solution for a marketing agency that is in need of client service. » Campaign Management Software - The Campaign Management Software is gaining a lot of popularity and is being used by a number of reputed businesses, globally. Campaign management software is responsible for managing the diverse aspects of the marketing campaigns that are associated with a business.